Making the decision to have your pet neutered early in life is a responsible choice which offers benefits to both you and your pet. In addition, by neutering your female cat or dog, you eliminate the risk of unwanted pregnancy, and the incidence of ‘false pregancies’ in female dogs, which can be stressful for both pet and owner. In males, neutering eliminates the risk of testicular cancer, and lowers the risk of certain prostate conditions occuring. Neutering your male will reduce their desire to wander off in search of females – this wandering may sometimes lead them to becoming lost, or being involved in road traffic accidents. If the male is neutered early, it also has the benefit of preventing unwanted male sexual behaviours becoming habit. These routine proceedures, provided your pet is fit and well, carry minimal risk. What happens when my pet undergoes surgery? Before undergoing this routine surgery, your pet must be fasted for 12 hours. This means that all food must be taken away from 10pm the night before, but your pet should still be allowed free access to water. You should bring your pet to the surgery at 9am, where you will meet one of our friendly nurses who will go through the details of the surgery and aftercare with you. One of our vets will give your pet a thourough examination to make sure they are fit and well enough to undergo an anaesthetic for the proceedure. Feel free to ask them any burning questions you may have – they will be more than happy to help! We will allow your pet to settle in our hospital accomodation and put them at ease before their proceedure – we like all of the pets that visit our hospital to feel calm and comfortable throught their stay. We will use the most modern techniques and monitoring equipment to ensure that your pet has the safest and most comfortable anaesthetic for their proceedure. A dedicated nurse will monitor their vital signs such as pulse, breathing, blood pressure and oxygen intake throught the proceedure to ensure their safety. 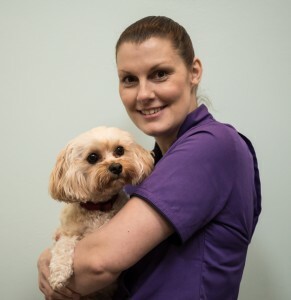 Our experienced vets carry out routine spay and neuter proceedures to a high standard and give your pet pain relief to ensure that any pain after the sugery is minimised – a comfy pet is a happy pet! After your pet’s surgery is finished, they will be moved back to our warm and comfortable hospital accomodation for a smooth recovery, where they will be carefully watched (and given lots of TLC!) by both our vets and nurses. Once your pet is awake and comfortable, he or she will be discharged to you. It is likely that your pet may be a little sleepy that evening, but this is nothing to worry about – lots of pets are a little dozy after an anaestetic and should be just fine after a good nights sleep. You should try to keep your pet relatively quiet for 10 days after surgery – minimise any fast play or strenuous activity such as jumping. In order to protect the stiches at the operation site, your vet might supply you with either a collar or a body suit depending on the size and temperament of your pet. It is very important to keep these on your pet at all times until the stitches are removed by your vet. If your pet were to disturb the stitches, it could lead to serious post-operative complications such as re-opening of the surgical wound or infection. You will bring your pet back to the surgery for a post surgery check up and to remove any stitches about 10 days after the surgery. Hopefully by this point they should be back to their normal happy selves and they will be ready to go back to normal exercise and play! If you have any worries in the meantime, you should feel free to contact one of our vets for advice or to examine your pet. After neutering , both males and females require less calories in their diet. As a responsible owner, it is important to reduce the amout their are being fed to make sure that they do not put on weight. Both our vets and nurses are happy to advise you on how best to alter your pets diet after neutering, so as to keep them in the peak of health.